New International Airport Terminal was officially opened at Phuket Airport on the morning of Friday the 16th of September, 2016 by Prime Minister Gen. Prayuth Chan-o-Cha. 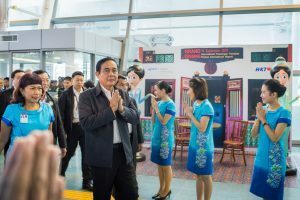 Prime Minister Gen. Prayut Chan-o-Cha arrived in Phuket Friday morning to attend the official opening ceremony and inaugurate the new international terminal. The terminal started to trial flights the previous week and began officially operating at midnight on Thursday, 15 September. Friday morning brought the inauguration ceremony with the Prime Minister, Deputy Prime Minister and other high ranking officials in attendance. The Prime Minister is due to attend the Startup Thailand and Digital Thailand 2016 seminar following the opening ceremony. He will also meet with trade representatives at Phuket Rajabhat University. He is scheduled to depart for Bangkok following press interviews on Friday evening. Read more about the Prime Ministers itinerary. 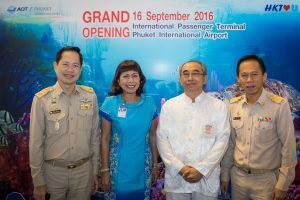 The new terminal seeks to showcase Phuket as a gateway to the Andaman. The Government’s plan consisted of a 5.14 billion baht budget to expand the airport. The new four storey building, with its distinguishing blue roof will double the number of passengers the airport can process. Currently, Phuket Airport can accommodate around 6.5 million passengers, the new terminal will almost double that number to 12.5 million. Features of the new terminal include 15 immigration points, a 300 metre arrival curb, 285 metre departure curb, 8 customs counters and 5 baggage carousels. 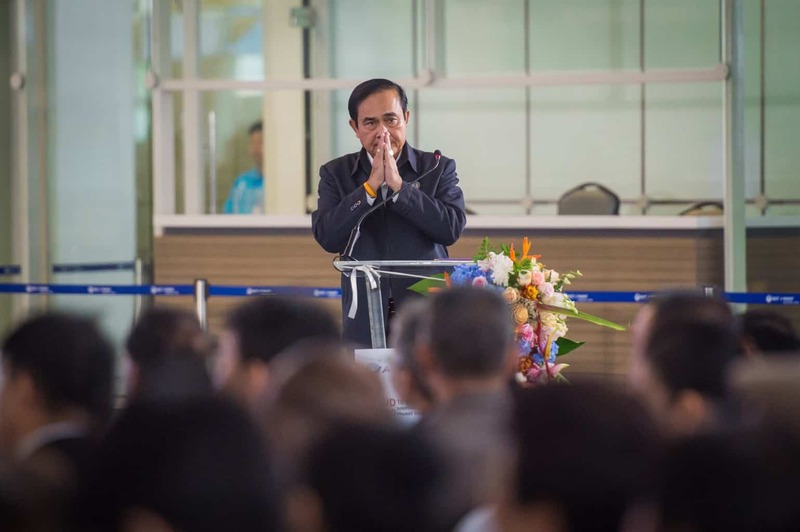 Gen Prayut said the new terminal underlined the government’s determination to improve transport infrastructure across the country. The building would benefit tourism and serve future investment in Phuket and neighbouring provinces. The airport now services 46 airlines connecting Phuket with more than 37 destinations around the world. Read more about what’s happening in Phuket and Thailand at our Phuket News page. Planning a holiday to our paradise island? Check out how the weather is looking.